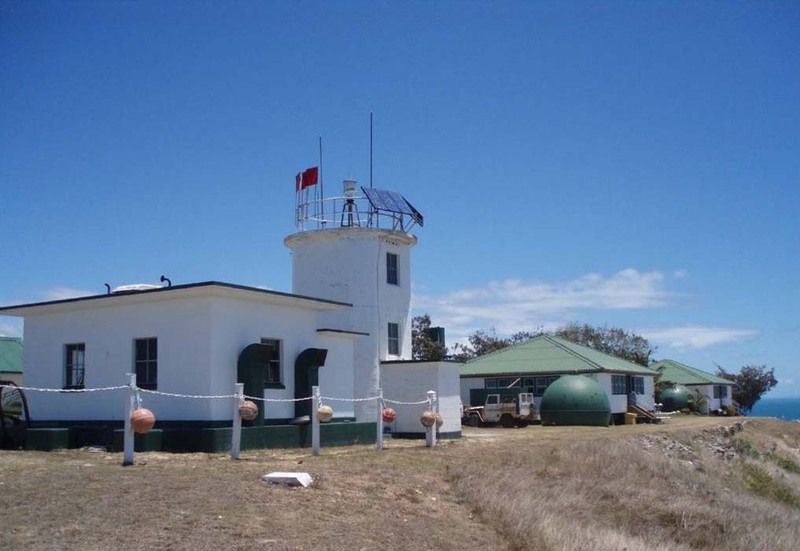 Cape Capricorn Lighthouse | Lighthouses of Australia Inc. There have been three lighthouses on this site. 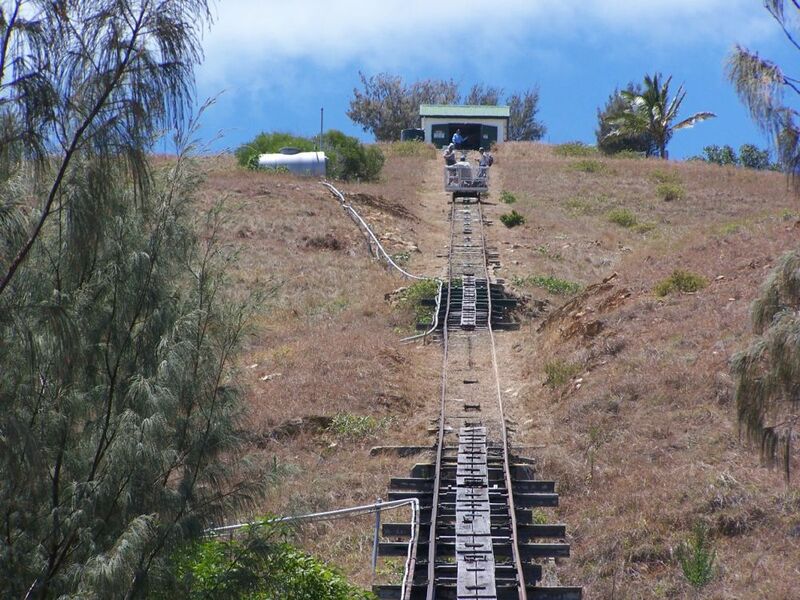 The first built in 1875, the second built in 1936, and the current built in 1964. There have been three lighthouses on this site. 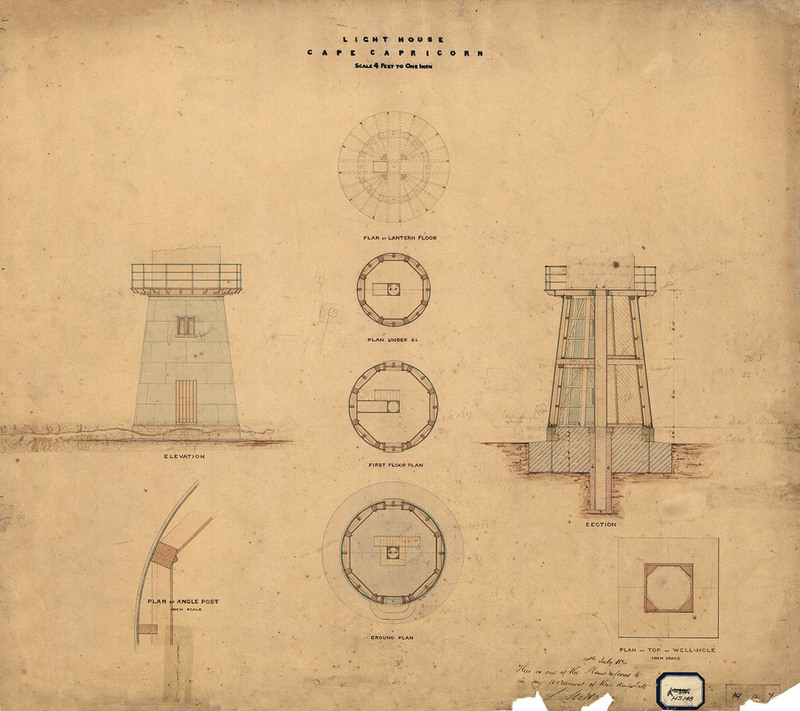 The original believed to the traditional Queensland Lighthouse that was made of timber was and clad with iron was prefabricated with the 2 accompanying cottages in Brisbane and assembled on site in 1875. 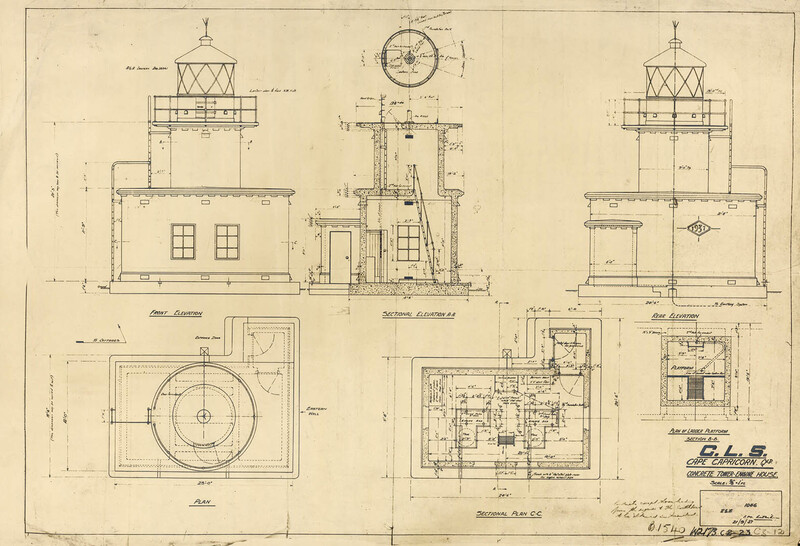 It is believed that the original optic and lantern room may have been temporary as the Colonial Architect had omitted to order one when he let the tender. The original oil wick burner was replaced by vapourised kerosene incandescent kerosene mantle in 1923. In 1936 it was decided to replace the original structure. In 1938 the light was converted to electric operation. The current structure was built in 1964 and is typical of the plain concrete block style of the day. 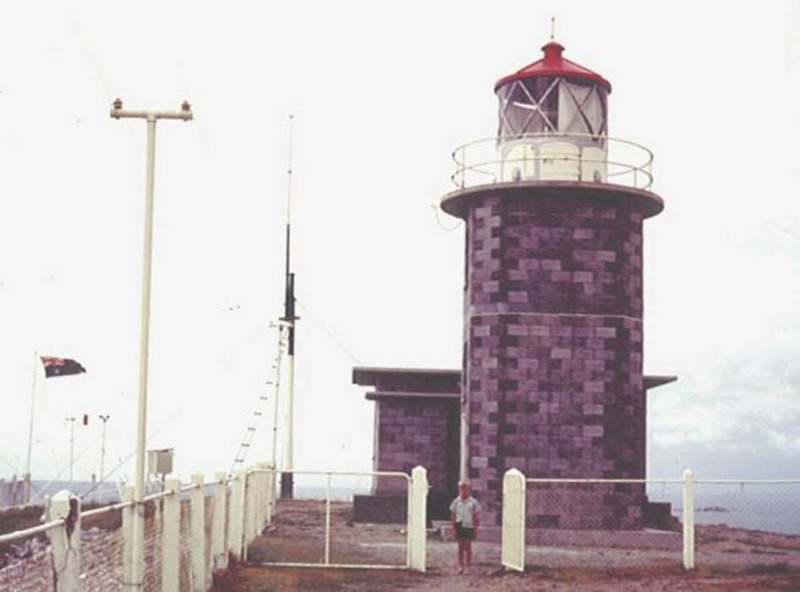 The Cape Capricorn Lighthouse is situated on Curtis Island. 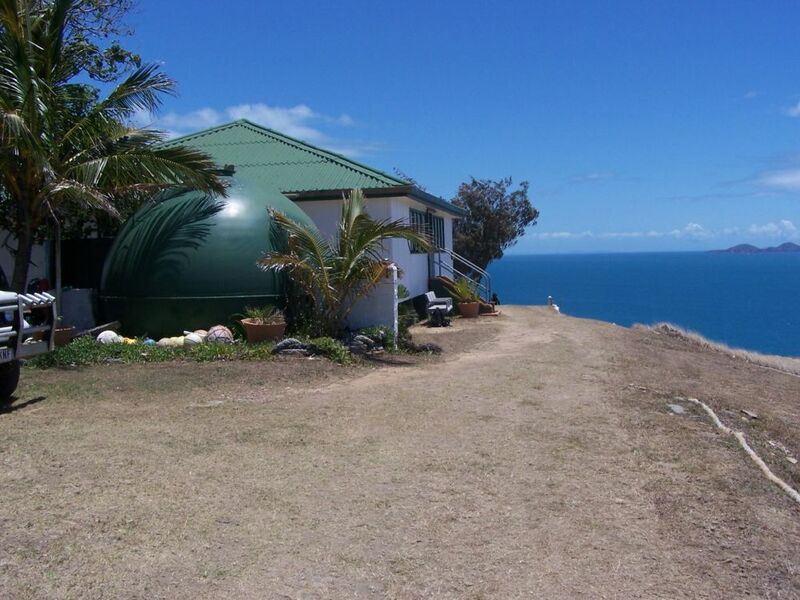 24 km north of Gladstone off the Central Queensland Coast and is only accessible by boat or air (beach landing). The cottages are privately leased. The tower is not open to the public.